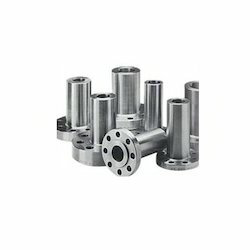 Pioneers in the industry, we offer duplex spectacle blind flange, square flanges, spectacle blind flanges, weld neck flanges, carbon steel flanges and stainless steel flanges from India. • size : 6" 600# Being a quality centric company, we are offering a superior quality Duplex Spectacle Blind Flange to our valuable clients. Our offered product is used in high pressure applications of the industries these blind flanges are extensively demanded for its quality and other such merits. Our product is manufactured by our team of qualified professionals using premium quality raw material of the market. The offered variety is fabricated in customised options. We have firm allegiance in exporting and supplying finest grade flanges and have become the renowned Welding Neck Flanges. The offered flanges are thoughtfully designed to pass the stress of flange to the pipes, which is why it is highly demanded in water treatment plants and paper mills. Moreover, the offered flanges are available in raised face, flat face and RTJ facing and can be availed from us in ASME and ANSI confirming standards. Made with precision engineered technology, we bring forth an assortment of Threaded Flange manufactured with high quality stainless steel. These flanges are used in working under high temperature and pressure, making sure no welding joint is made at the assembly. These flanges are drilled to mate with 150 or 300 companion flanges. These threaded flanges have tapped bolt holes and rotatable flanges make with easy installation. Our packaging section for ASTM A105 Carbon Steel THREADED FLANGES is of high stardard as we do extra safty packing for ASTM A105 Carbon Steel THREADED FLANGES in order to reach the products safely to the destination . All shipping documentation is provided for seamless delivery from mill to customers. 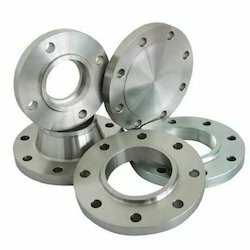 We are counted as consistent firm actively involved in supplying modern day Carbon Steel Flanges. We bring forth seamless flanges fabricated out of quality tested carbon steel alloys that is best suited option for industries with high temperature and pressure working conditions. The offered flanges are available in 1/2-60 inch sizes and can be ordered from us at market leading price. • Made with precision engineered technology, we bring forth an assortment of Threaded Flange manufactured with high quality stainless steel. These flanges are used in working under high temperature and pressure, making sure no welding joint is made at the assembly. These flanges are drilled to mate with 150 or 300 companion flanges. 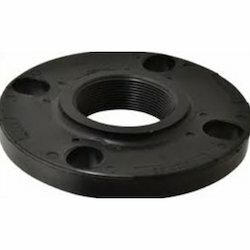 These threaded flanges have tapped bolt holes and rotatable flanges make with easy installation. 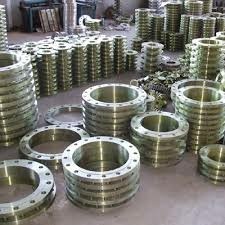 We are highly experienced suppliers best known for the quality of our offered Carbon Steel Flanges. These flanges are widely utilized at oil field, offshore, water system, and shipbuilding industries to prevent flow of liquid or gas. The offered flanges confirm the highest manufacturing standards of ANSI, JIS, DIN, and can be availed from us in various sizes and pressure ratings. 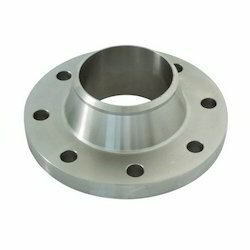 We are well known enterprise engaged in supplying highly viable Carbon Steel Flanges. The offered flanges are widely demanded to prevent leakage and to provide strength in pressure sensitive pipelines of pharmaceutical plants and turnkey projects. Our prestigious clients can order these flanges in inch to 60 inch size in weld neck, slip on, socket, blind, lap joint, and threaded configurations. Features Incredibly tight sealing Optimum torque Easy to clean Type Welding neck flange slip on flange socket welded flange blind flange lap joint flange threaded flange special flange Material Carbon steel A105,SS400,SF440 RST37.2,S235JRG2,P250GH,C22.8 Standard ANSI,JIS,DIN,BS4504,SABS1123,EN1092-1, UNI,AS2129,GOST-12820 Size 1/2-60 inch (DN15-DN2000) Pressure ANSI class 150,300,600,1500,2500, DIN PN6,PN10,PN16,PN25,PN40,PN64,PN100,PN160 Packing No Fumigate or Fumigate Plywood/Wood Pallet or Case Surface Treatment Anti-rust Oil, Transparent/Yellow/Black Anti-rust Paint,Zinc,Hot dipped Galvanized. Applications Oil Field, Offshore, Water System, Shipbuilding, Natural Gas, Electric Power, Pipe Projects etc. Packaging Our packaging section for ASTM A105 Carbon Steel THREADED FLANGES is of high stardard as we do extra safty packing for ASTM A105 Carbon Steel THREADED FLANGES in order to reach the products safely to the destination . All shipping documentation is provided for seamless delivery from mill to customers. 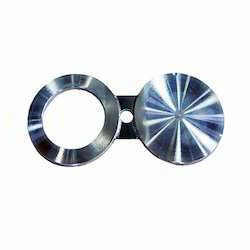 Type Welding neck flange slip on flange socket welded flange blind flange lap joint flange special flange Specifications Made with precision engineered technology, we bring forth an assortment of Threaded Flange manufactured with high quality stainless steel. These flanges are used in working under high temperature and pressure, making sure no welding joint is made at the assembly. These flanges are drilled to mate with 150 or 300 companion flanges. These threaded flanges have tapped bolt holes and rotatable flanges make with easy installation. Material Carbon steel A105,SS400,SF440 RST37.2,S235JRG2,P250GH,C22.8 Standard ANSI,JIS,DIN,BS4504,SABS1123,EN1092-1, UNI,AS2129,GOST-12820 Size 1/2-60 inch (DN15-DN2000) Pressure ANSI class 150,300,600,1500,2500, DIN PN6,PN10,PN16,PN25,PN40,PN64,PN100,PN160 Packing No Fumigate or Fumigate Plywood/Wood Pallet or Case Surface Treatment Anti-rust Oil, Transparent/Yellow/Black Anti-rust Paint,Zinc,Hot dipped Galvanized. Applications Oil Field, Offshore, Water System, Shipbuilding, Natural Gas, Electric Power, Pipe Projects etc. Packaging Our packaging section for ASTM A105 Carbon Steel THREADED FLANGES is of high stardard as we do extra safty packing for ASTM A105 Carbon Steel THREADED FLANGES in order to reach the products safely to the destination . All shipping documentation is provided for seamless delivery from mill to customers. 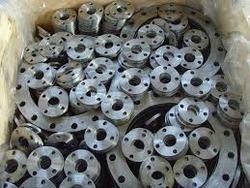 Price All Flange From 100/- To 2 Lakhs /- Per No Plate flanges are produced from quality mill plates. Before cutting pieces out of plates, each plate is checked for serious laminations. They should be virtually free of voids, non-metallic inclusions and other defects. Another important property of plate is its weldability & hardenability. For more critical application of flanges, the hardness, strength and impact properties are also important factors. 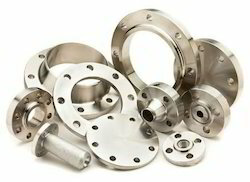 These properties vary through, along and across the section of the product as a result of temperature and microstructural variations during hot rolling, cold rolling or quenching and cooling.In addition to our stock of standard flanges, we also offer specialty plate flange products which include machining details such as gasket surfaces, non-standard drilling, facing details, bevel and radius edges, o-ring grooves and raised or recessed faces. Some typical examples are shown below. 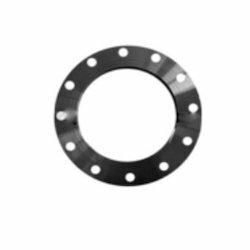 Plate Flanges We offer a range of steel plate flanges such as steel slip-on flanges, blinds flanges, raised face flanges and back-ups flanges, in international standards like AWWA, DIN, BS, JIS, Czech, and Australian. 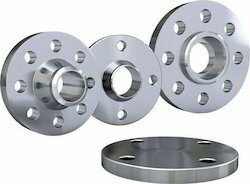 Plate Flanges are available in sizes from 1/2" to 60" in Carbon Steel & Stainless Steel. 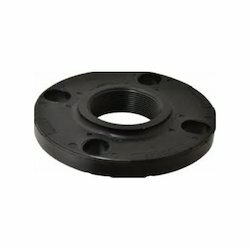 Carbon Steel Plate Flanges are supplied with Anti-Rust coating of Oil, Clear Lacquer, and Black Japan. Carbon Steel Plate Flanges can also be supplied in Hot Dip Galvanized form.Our Plate Flanges are developed from quality carbon & stainless steel and are available in distinct sizes ranging from 1/2" to 60".Standard plate flanges can be customized to suit your application with a variety of machining details. The a-a section drawings below show some of the possibilities. 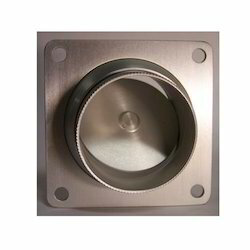 Type Welding neck flange slip on flange socket welded flange blind flange lap joint flange special flange Threaded flange Made with precision engineered technology, we bring forth an assortment of Threaded Flange manufactured with high quality stainless steel. These flanges are used in working under high temperature and pressure, making sure no welding joint is made at the assembly. These flanges are drilled to mate with 150 or 300 companion flanges. 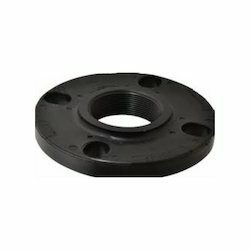 These threaded flanges have tapped bolt holes and rotatable flanges make with easy installation. Specifications Material Carbon steel A105,SS400,SF440 RST37.2,S235JRG2,P250GH,C22.8 Standard ANSI,JIS,DIN,BS4504,SABS1123,EN1092-1, UNI,AS2129,GOST-12820 Size 1/2-60 inch (DN15-DN2000) Pressure ANSI class 150,300,600,1500,2500, DIN PN6,PN10,PN16,PN25,PN40,PN64,PN100,PN160 Packing No Fumigate or Fumigate Plywood/Wood Pallet or Case Surface Treatment Anti-rust Oil, Transparent/Yellow/Black Anti-rust Paint,Zinc,Hot dipped Galvanized. Applications Oil Field, Offshore, Water System, Shipbuilding, Natural Gas, Electric Power, Pipe Projects etc. Packaging Our packaging section for ASTM A105 Carbon Steel THREADED FLANGES is of high stardard as we do extra safty packing for ASTM A105 Carbon Steel THREADED FLANGES in order to reach the products safely to the destination . All shipping documentation is provided for seamless delivery from mill to customers. 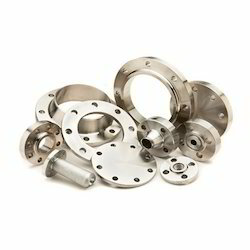 By keeping track with market development, we are offering an extensive array of Flanges. These orifice flanges are processed by consuming high quality metal, these orifice flanges are widely acclaimed for their attributes. To fulfill the speckled requirements of clients, we offer these orifice flanges in diverse dimensions at very reasonable rates. 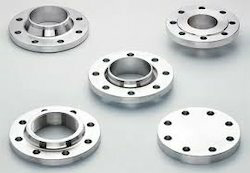 Offered orifice flanges are also inspected after manufacturing process by our quality experts.